As a consequence of the high multidisciplinarity, the conference will be organized along one single session to enhance fruitful discussions on surface tension fundamentals and applications. In addition to being at the heart of droplet-based microfluidics and micromanipulation, capillary flows and wetting phenomena still pose a number of exciting fundamental challenges nowadays. To cite but one key-example, problems involving moving contact lines have been modeled by a number of rather different approaches (hydrodynamics, kinetic theory, DFT, molecular dynamics, …) between which a true consensus does not seem to have emerged yet. On top of this, complications occur when it comes to dealing e.g. with phase change, electric fields, soft substrates, … not to mention complex fluids (nanoparticle solutions, surfactants, …) and structured substrates (chemically or geometrically) leading to pinning, contact angle hysteresis and super-hydrophobicity. When surface active species accumulate at interfaces, they not only change the thermodynamic properties, but they can have microstructures with significant mechanical strength. These structures can strongly couple to hydrodynamic forces, resulting in nonlinear rheological properties and complex constitutive relations linking the deformations of the interface to the surface stress. In such cases we need to go beyond the Young-Laplace equation to describe the response of the fluid-fluid interface but describe, measure,and model the deviatoric stresses which occur when the interface is deformed. Not only viscous, but also strongly viscoelastic responses are observed and of interest. Fluidic microrobotics is an emerging field where capillary effects can be used to develop motion and/or to apply force on microsystems. Numerous applications are emerging among which floating robots, drobots (droplets robots), capillary bearings. Micromanipulation of components also develops thanks to capillary effects: capillary gripping, hybrid assembly, thermocapillary micromanipulation are exciting fields under research. Capillary forces can be used as a driving force to bring together nanoparticles into organised superstructures. Due to favourable scaling of capillary forces these interactions are compelling not only for assembling nanoparticles but also for positioning and assembling micrometer sized components. Current research includes the application of these interactions for fabricating nanoparticle superstructures as well as the assembly of MEMS devices. 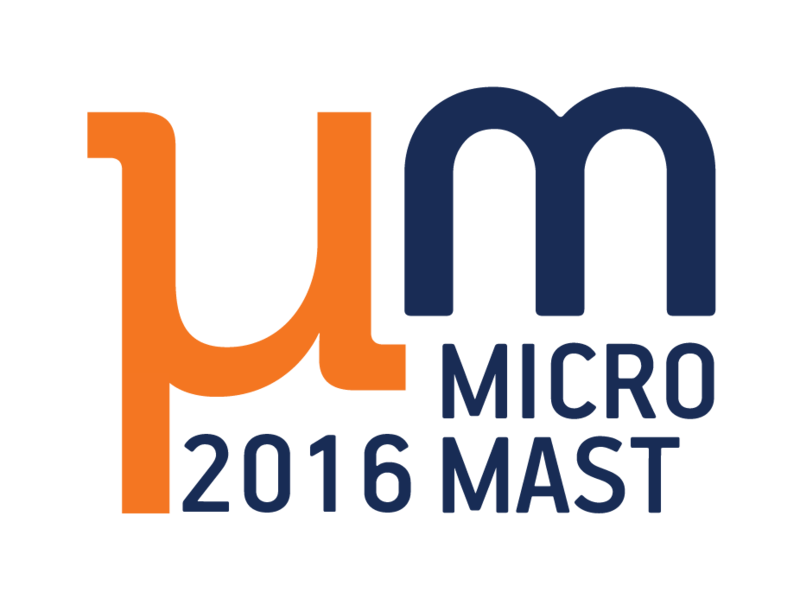 Microfluidics is a highly multidisciplinary field combining advanced knowledge in Physics, Chemistry and Biology. Examples of cutting-edge lab-on-a-chip devices have become plethora today, in which fundamentals are always very close to applications. One of the aims of the conference will be to address current issues encountered in fundamental microfluidics and particularly in which surface tension plays a central role, as for instance in droplets and bubbles formation/flow in microchannels, including the effect of surfactants, electric fields, phase change, etc. A droplet is probably the minimum manipulable quantity of fluid. The interplay between capillary forces and surface forces drives the droplet behavior. Sessile droplets are of importance in applications from coating to cleaning surface for which the evaporation is also an important parameter. From the dynamical point of view, the impact of the droplet on a surface is a central problem in numerous problems: painting, rain, agriculture, printing. As a consequence, droplets can be only approached by a multi-disciplinary view: theory, simulations, experiments and industrial concerns. Capillary forces are developed by liquids on solids, due to surface tension effects and Laplace pressure. We expect contributions related to capillary forces modelling including modelling of axial forces, lateral capillary forces and capillary torques. Current questions include flexible substrates, dynamical effects, 3D geometries, duality between problem formulation in terms of forces or in terms of energy, molecular dynamics simulations as well as macroscopic models. Following the steps of ancient scribes, contemporary painters still dip their brushes in water to assemble uneven bristles into an elegant bundle. At small scales, capillary forces are indeed strong enough to bend slender structures. Such elasto-capillary induced deformations are also present in different processes employed in micro-engineering. Capillary forces for instance promote the self-alignement of micro-chips. However, the same forces may permanently deflect micro-cantilevers used in the tiny accelerometers present in safety equipment with disastrous consequences. The coupling between elasticity and surface forces has emerged recently as an important interdisciplinary field where material sciences meet interfacial physics and mechanics.